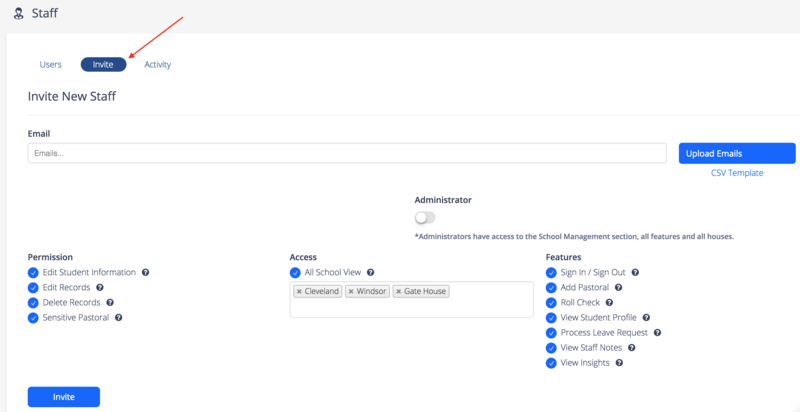 Starting from your School Management page navigate to 'Staff'. Then click the 'Invite' tab. Enter the email addresses of all the administrators you'd like to invite. 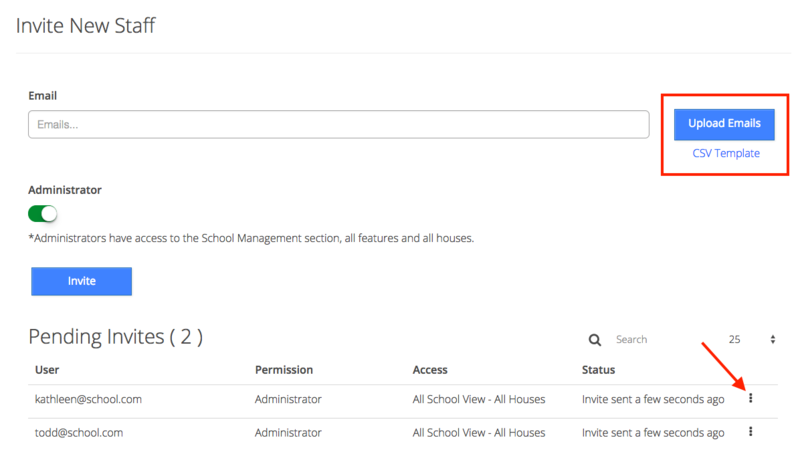 Ensure the administrator toggle is on (Green) and click 'Invite'. 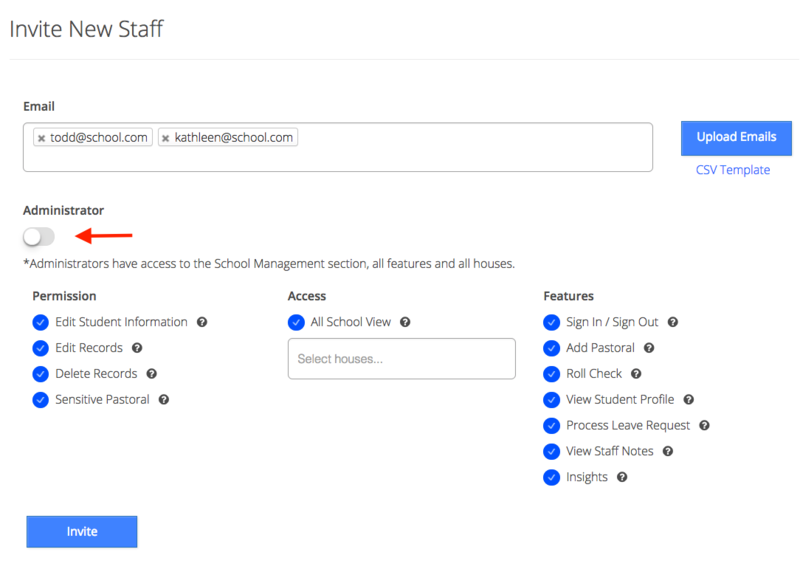 You will then be prompted to set permission controls for the staff member, click the circle to turn off the listed option. Click CSV Template to download the template for the bulk import (box) Fill in template, save, and then click 'Upload Emails' to load them. The 'Pending Invites' section helps you manage your current invites to see who is still yet to connect.